They lie next to each other, on our bathroom rail, one grass-green, one midnight blue. They are the same Egyptian cotton towels we were given for our wedding, fifteen years ago. At the time, as I recall, I thought them outrageously expensive, yet they are still here, fifteen years on. Every day, I take the crumpled blue towel, shake it out, fold it, and replace it on the rail. This, believe it or not, is the most genuinely romantic thing I do in the day. Let me explain. In the early days of marriage, we talked about our ‘love languages’, and how we received love. For me, it was quality time—meals out in romantic restaurants, steak and wine, dreaming together about our future, laughing at his jokes. For him, it was acts of service, and I had a eureka moment when I realised that my husband would be forever happy if I just kept making him cups of tea. But life changes and shifts, and for us it was my unexpected neurological illness that turned our love upside down. I am now housebound, needing to spend 21 hours of the day in bed, unable to do very much for myself, let alone someone else. Meals out in romantic restaurants are a very rare treat, usually truncated by my need to lie down in a quiet place to recover. If love languages were inflexible things, we would have been sunk. Our marriage would have shrivelled when I could no longer make a cup of tea or go out regularly to restaurants, but we adapted, and listened, and learned to speak in the other person’s native tongue. Jon brought candlelight and fine steak to our dining room, and we continue to dream together and talk about art and faith. We think of love as abstract, ethereal—but it is made of earth, not air. I have learnt to see love in acts of service as well as quality time. I see love every day, in my husband’s bleary eyes as he pours milk into a beaker for our son. It is in fruit fanned out on a plate, sprinkled with roasted nuts; it is in our synchronised iPad calendars, arranged so that I can rest or write while Jon takes our boy out to the aquarium; it is in the faded yellow cushion that rests on my wheelchair. Love is not in the grand speeches, it is cultivated in the everyday—seeing and noticing the small things. These are the love letters that count, the ones that are written and rewritten every day. Love is in a midnight-blue towel. Every day, I see Jon’s crumpled up towel, and I think, “That towel will not dry if it’s left like that, and if it does not dry, then Jon will emerge from his shower to a sad, damp, cold and mouldy towel. But if I take the towel now and shake it out and lay it straight, it will dry completely.” Every day, in the bathroom, I see the crumpled midnight-blue towel, and I smile. After fifteen years, I can’t make him cups of tea, or his favourite cheesecake, or work together in church ministry as we always used to, or go out to the park as a family. But I can do this. I shake out the towel, lay it on the rail, and I love him. Community: Slamming Doors and Kitchen Messes To the Pastors’ Wives Whose Marriages are Quietly Falling Apart What I Learned From an Everyday Wednesday For Those Who Love Jesus, but . . . 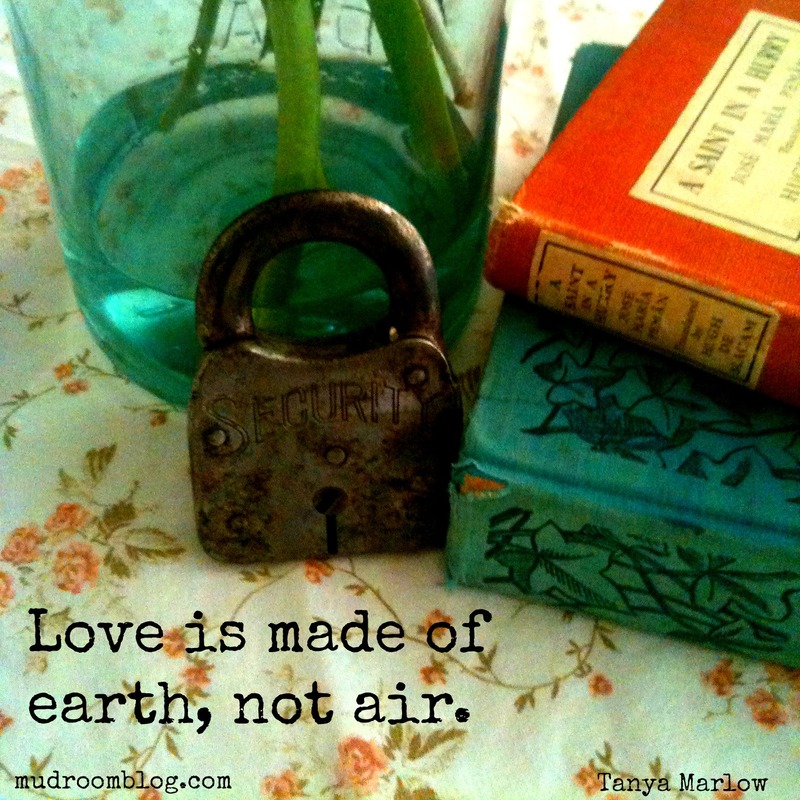 This entry was posted in Church, Faith, Family, Ministry, Parenting and tagged Connection Community and Couplehood, love, marriage, service, Tanya Marlow. Bookmark the permalink.